Wow – that’s certainly a complex question; how to drink Cognac. There are so many differing points of view and personal preferences to be taken into account. 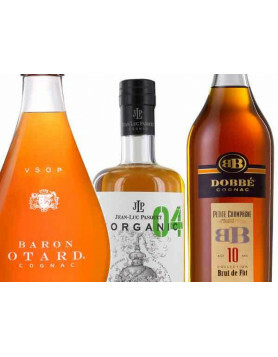 However, the following are some of the different factors that you might want to think about when enjoying your Cognac, whether it’s a Hennessy, Remy Martin, or another of the many great brands on offer. 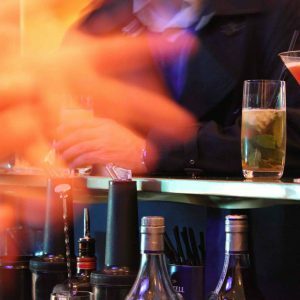 Some of the most obvious questions are whether you should drink Cognac straight, mixed in a cocktail, with ice (on the rocks)? How about what kind of glass you should use, what environment you might drink in, and the temperature of your Cognac? Okay, so the first thing to think about is the kind of Cognac you’re drinking. It it a younger VS, a VSOP or an old blend – such as an XO – or even a vintage Cognac? 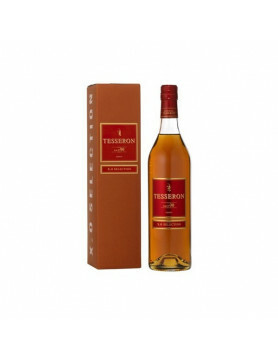 Is it a sweeter tasting Cognac that might be well suited to accompanying a dessert? Or has the blend been specifically produced to be a component of a cocktail, or perhaps an aperitif? From our point of view, the best Cognac is the one you experience in its entirety. That includes the taste, color, brand, packaging, estate and distillery, history of the company and the family – because it takes a combination of all of these things to make a good Cognac. If you’re not brand conscious, then our advice would be to try to find a Cognac from a smaller, lesser-known estate. If the brand name’s important to you, then it’s likely that you’ll be looking at a Cognac from one of the ‘Big 4’ (Hennessy, Martell, Remy Martin, or Courvoisier), or at least one from the 10 largest Cognac houses. In general, there are three different types of Cognac glasses (although the third is really just a modern take on the second). These are the tulip glass, the balloon glass, and the wobble snifter. And naturally, you can also use cocktail glasses or a tumbler for mixed drinks. Have a look at our article about the different types of cognac glasses to find out more about each type, or visit cognac-glasses.com. 3. The Environment: when do you drink Cognac? It goes without saying that there are different levels of Cognac. For example, there are what we might call ‘every-day’ Cognacs which, whilst still commanding a price, can be drunk on a more regular basis and consumed in a rather ‘easy’ manner. But in general one should appreciate a glass of Cognac, because it really is one of the most complex spirits in the world. The fashionable way: In a bar, or a night club. Here the choice might well be a VS or VSOP in a cocktail, perhaps a VSOP on ice (on the rocks) or, if you prefer, just drink it neat. The traditional way: This might well be considered a little old-fashioned now, as Cognac has done much to shake off its dusty image of old. However, there’s something to be said about the sheer decadence that is settling back with a good XO Cognac in a balloon snifter, in front of the fire place, dog and hunting rifle not far away – after dinner (okay, so maybe not the hunting rifle – we wax lyrical). So whilst we’re delighted that Cognac has entered the 21st century and is enjoyed by all manner of different people in different ways, they’ll always be a part of us (and we think many people) that embraces tradition. After all, a good Cognac is to be savored – and what better way to do that than in the manner that’s been enjoyed over the centuries. The intellectual way: Different Single Cru and Single Vineyard Vintage Cognacs, produced with no sugar added and tasted from tulip glasses. Perhaps a group experience – which can be a tasting session – concentrating on the different aromas and notes of the Cognac. This could even be accompanied by a little dessert. Of course there are some very precious Cognacs. These do, naturally, command a price. However, with a little forethought, it’s still possible to find these with a price tag that doesn’t cost the earth. There are many differing opinions about the optimum temperature of a Cognac. For instance, should you sip it with ice, perhaps straight from the freezer, at room temperature or hand warmed? It used to be true that most Cognac drinkers preferred their eaux-de-vie at hand temperature. This is because when you hold the glass in your hand, allowing your body heat to gently warm the glass, the spirit does release highly delicate notes that you wouldn’t notice at normal room temperature. But things change, and the joy that is Cognac continues to evolve. For example, some younger Cognacs are specifically created for drinking chilled, such as ABK6 Ice or De Luze’s A blend. Indeed, we had a great meeting with Jacques Petit (from André Petit Cognac) who pulled a Napoleon XO from the freezer. Read that story here. What is the ‘right’ temperature for drinking Cognac is an ongoing saga and almost a philsophy in itself. What it all boils down to is your own personal preferences. There’s no right or wrong way to enjoy your eaux-de-vie. In fact, depending on the circumstances you find yourself in, you might enjoy drinking it in a multitude of different ways. Consider the question, is it okay to add water to Cognac? The answer is, if that’s how you enjoy drinking it, then of course it’s okay. Now, ‘how to taste Cognac’ is another question and another topic entirely. In a nutshell, the tasting of a Cognac is a combination of the following: the color, the nose, the palate (in the mouth) and the after taste (or finish). This is then compared to other blends and Cognacs. And you’ll probably also want to consider how all of that corresponds to the price of a Cognac? If you want to know more about how to taste Cognac, take a look at this article. I see the look of mini bottles are great. Do you own them? If so, you can sell bottle for me? how does one heat cognac, is your question. Now, first of all, you do not necesarily need to heat cognac. There are even people that drink cognac ice-cold. 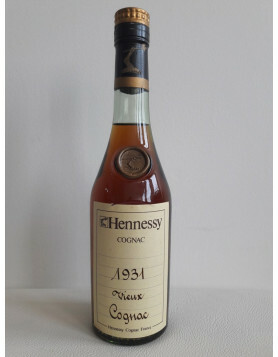 There are many ways of drinking cognac, and yes of course it can be mixed (just go to the blog / cocktails and drinks section). Anyway, you can warm cognac in your hand, in the snifter. There are people that use a candle etc. but I am not a great fan of this. Our favorite for mixing cognac: Try Canada Dry, lemon a spash of young Pineau and a bit of soda water. Do not forget the ice. And to minibottle: No, these mini bottles are property of Paul Ronne. I have an un-opened bottle that is about 20 years old. 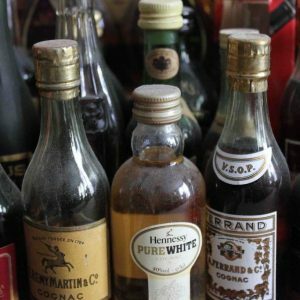 Does cognac spoil or get better with age? I drank a cognac served in the large balloon glass that came sitting over another mug like cup filled with hot water. It was the absolute most unforgettable drink experience I’ve had. Very disappointing that most places are clueless to this little added pleasure. I just drink it in a shot glass. I like it a bit chilly. What goes down cool, warms the heart. The complex flavors of a good Cognac, a good book and a warm fire makes life worth living. He forgot to mention Raper Style drinking Cognac. I like to drink mines in a glass straight no chaser with a cigar! If I start drinking cognac will I become a self absorbed elitist douch bag like the author of this article? I like to drink my cognac from a very strongly heated balloon glass 🙂 I usually heat the glass with hot steam from a coffee machine. I know! It’s tricky to get alcohol shipped in Utah.. how unfortunate! I always use a balloon glass for cognac. I have tried other glasses but there is something about how a balloon glass exposes a large amount of cognac surface area to the air makes it taste better than a small diameter glass and it lessens the alcohol burn especially with the younger bottles. I prefer to heat my glass prior to cognac and then to maintain temp by using a large rocks glass with very hot water in it. For me I ensure the balloon glass can be placed sideways on top of the rocks glass to ensure maximum warming surface. Last year while on a cruise I noticed a bottle of Louis XIII hat had a very small amount of cognac remaining. I was aware that there was a tradition that if you purchase the last drink that the house would give you the bottle. The bottle is a product of Bacarat Crystal and is quite expensive. At any rate, I I asked the bartender if they honored the tradition of giving the customer the bottle with the last drink. I was told that yes they would do that. I ask how many drinks were left in the bottle and he said three. The drink was priced at $80 per shot so I purchased the last three drinks and got the bottle included. Here is the kicker as I was on a cruise I had a $300 shipboard credit which I used to purchase the cognac. Net result I still had $60 to spend on an upscale dinner. The cognac was served in a tulip glass which had been heated over a hot water bath. The cognac was smooth went down easily without burning my throat and had a wonderful after taste. That was my first experience with cognac. I have not been able to repeat that at a reasonable price since then. Loved Albert’s story, and SmarterThanYou made me laff. I’m drinking Aldi’s £15 VS Cognac, which went very well with a Montecristo cigarillo. I’ve got a Camus VSOP next, then a very aged 2002. Keen to see how much extra bang per buck. I had a Torres 20 heated in a restaurant once. Hell of a forward nose,but that must just be alcohol evaporation. Warming to just below evaporation must be the way to go, surely?